Should architecture be used as a punishment in itself, made as harsh and cruel as possible in a bid to make inmates sorry for what they’ve done, or should it uplift and rehabilitate them, showing them that there’s more to the world than a life of crime? 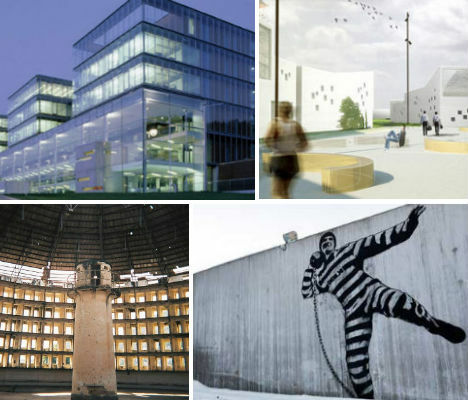 While some architects boycott prison design altogether so as not to participate in what is often seen as a corrupt and immoral system, others produce (often controversial) designs that revolutionize prisoners’ relationships with their environment, each other and the world at large – for better or worse. Are shipping container prison cells a brilliant example of eco-minded reuse, or a cruel way to house criminals? 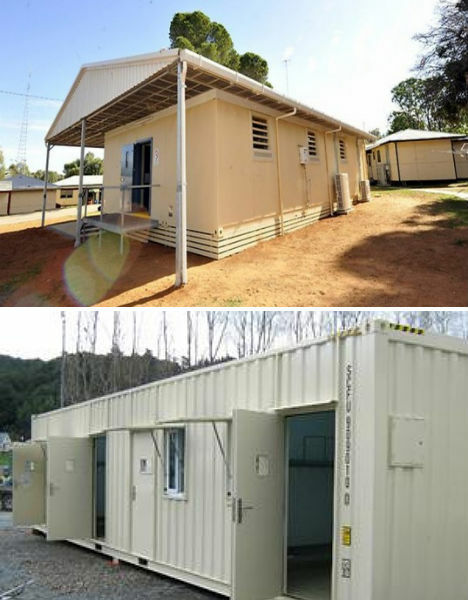 A local prison in Australia has upcycled shipping containers into cheap prisoner housing, and another prison in New Zealand has begun using them as a solution for overcrowding. The concept has drawn controversy from critics who worry that the conditions of shipping container prison cells are inhumane, or that they’re not secure enough. 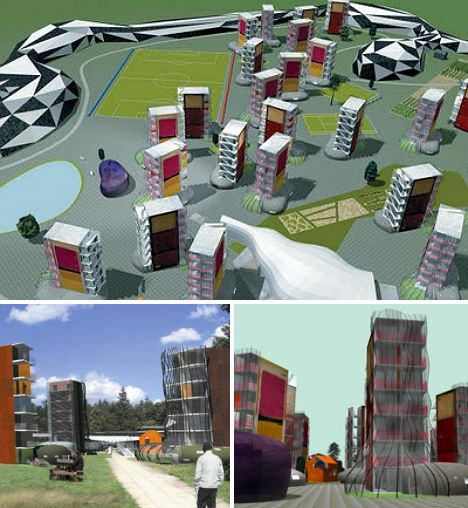 An interesting concept from Malaysian designers Chow Khoon Toong, Ong Tien Yee and Beh Ssi Cze places a productive prison complex in the air above a ‘host city’. 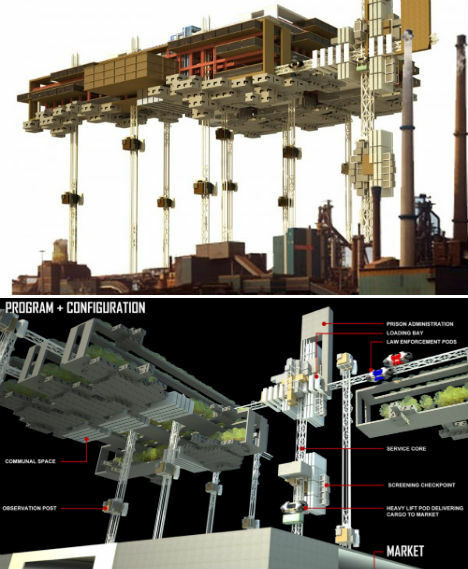 This vertical prison aims to create a prison community where inmates live and work in agricultural fields, factories and recycling plants as a way to give back to the community. While law-abiding citizens below might not appreciate their view of the sky being replaced with a looming, spaceship-like prison, the system would theoretically turn a prison sentence into a learning experience that benefits everyone. 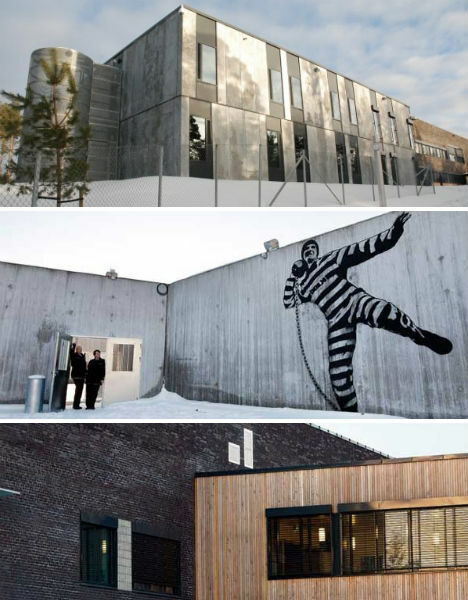 This prison, located in Norway, is nicer than the homes of many wealthy people, featuring award-winning architecture, art and amenities. Believing that prisons needn’t be cruel and painful in order to be effective, Erik Møller Architects produced a facility where inmates can jog down woodland trails and take cooking classes. While this may seem unreasonably plush for a place of punishment, it’s worth noting that whereas harsh and austere prisons in America and Britain have a 50% return rate, Norway’s is only 20%. In 1791, philosopher and social theorist Jeremy Bentham designed an institution that enables the managers or staff to view every inmate in the building, enabling a smaller workforce and thus lowering costs. His ‘Panopticon’ concept never came into being during his lifetime, and no true Panopticon prisons have ever been built according to his exact designs; the closest is the now-abandoned Presidio Modelo in Cuba (pictured). 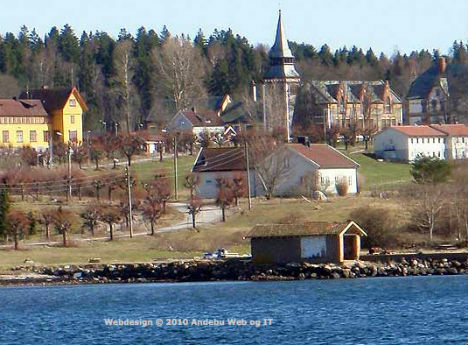 A new state prison will soon be built on the island of Falster in Denmark which is laid out like a small village and emphasize work and leisure activities as well as green spas. Danish architects C.F. Møller have made the prison bright and airy with large windows and skylights. A network of streets connect inmate housing to administration buildings, a library, a worship room, sports facilities and a shop. 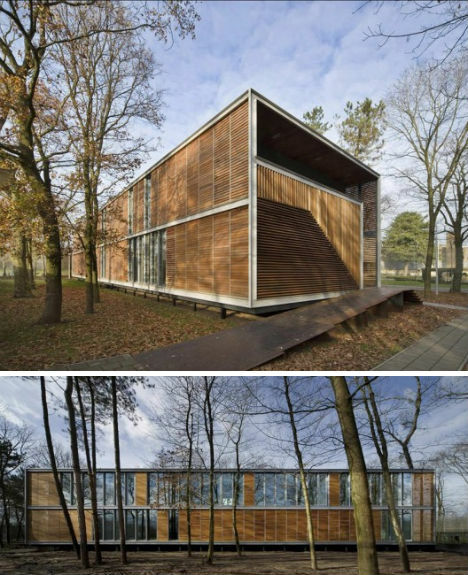 Believing that wayward youth will benefit from a connection to nature, UArchitects have given the Juvenile Pavilion in The Netherlands an earthy, organic feel with an open structure wrapped in slatted wood. Instead of a dark, enclosed prison, the facility is transparent, maintaining a lifeline to the outside world that reminds the residents that their stay is not permanent. 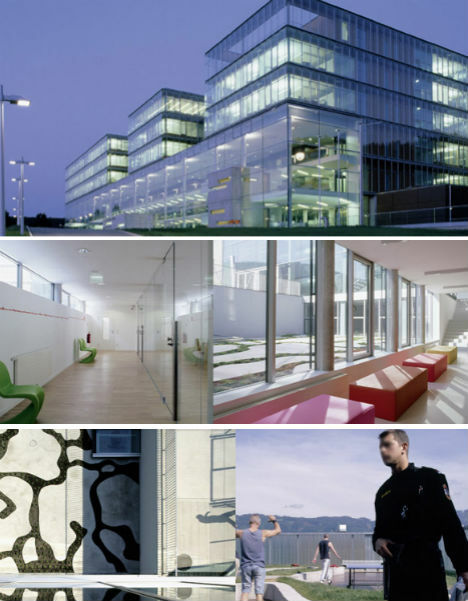 How does the design of prisons inform their effectiveness? That’s the question that architect Will Alsop asked when he teamed up with activist arts group Rideout for the Creative Prison Project in 2006. The collaboration produced concept art for a ‘fantasy prison’ that was driven, in part, by the ideas of inmates who were asked how they would improve the prison environment. 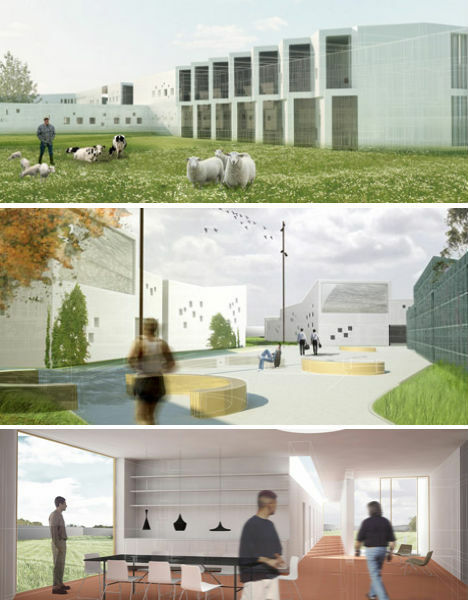 The results emphasize rehabilitation and education, allowing the prisoner population to live in college campus-like ‘modules’ and interact with the outside world. Each prisoner block would include a communal kitchen, common room and enclosed garden. 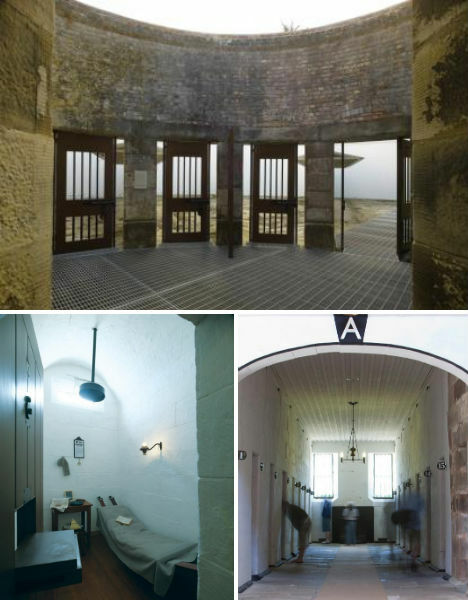 On the darker side of prison design are facilities like the notoriously inhumane ‘Separate’ prison in Port Arthur, Australia. The Victorian concept of placing prisoners in extremely solitary environments, which certainly did nothing to contribute to their mental stability, is precisely the sort of cruel punishment that many of these modern ideas are pushing against. The Port Arthur Separate Prison in particular was an experimental facility of silence and strict control. This particular facility isn’t modern, futuristic or revolutionary, but it’s definitely interesting. The smallest jail in the world fits just two prisoners. 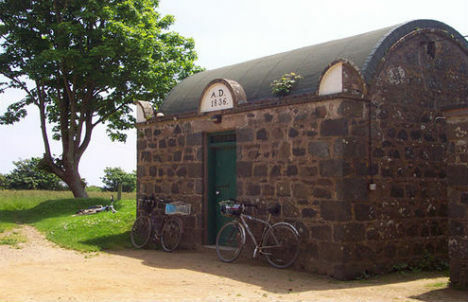 Sark Prison is found on the Island of Sark in the English Channel; it’s still used for overnight stays despite its diminutive size and lack of permanent staff. Anyone requiring more than a single night’s lockup is sent to a more standard prison on another part of the island. The North Carolina facility where notorious scammer Bernie Madoff is living out the remaining years of his life is America’s one and only LEED-Certified prison, meaning it has met the U.S. Green Building Council’s standards for sustainable design. Bicycle storage, alternative fuel stations, water-smart landscaping, optimized energy performance and reduced greenhouse gas emissions are among its notable features. You might imagine that this kind of eco-friendly design would be more expensive and thus, not a great example for other cash-strapped prisons around the country to follow, but that’s not the case. The measures taken to make the building so efficient and green have actually helped the facility save money. “Is Bastoy the place for you?” asks the Bastoy Island website beside idyllic photographs of sunsets, snow and sleigh-pulling horses. You’d better hope not, unless you’ve committed some kind of crime, because this place is not a resort, it’s a prison – though you’d never know that looking at it. Bastoy Island is an experimental minimum-security ‘eco prison’ where 115 ‘residents’ eat organic food and enjoy cross-country skiing, tennis and other activities once they have completed their mandatory hard labor on the farm. The prison warden says that this place is such a nice place to live, he worries more about all of the curious outsiders who find their way onto the property than about inmates escaping.